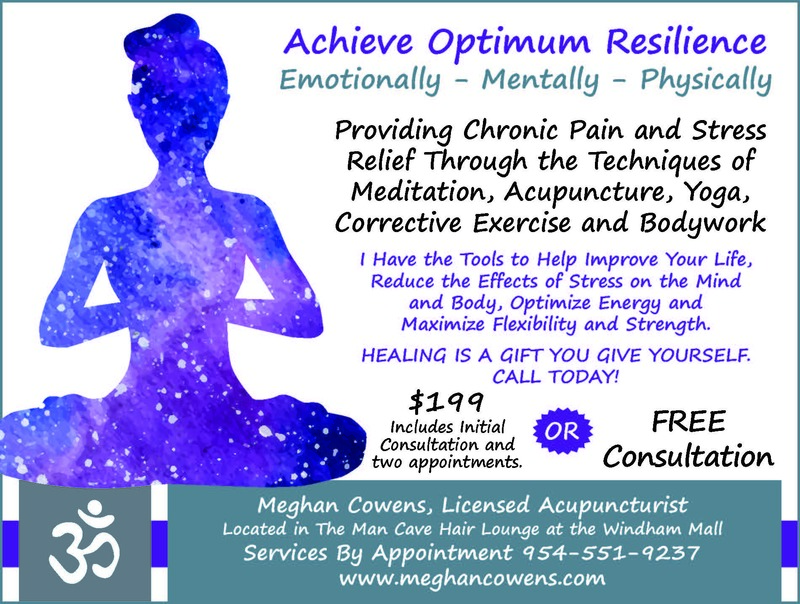 For those who are stuck or searching for someone and something to help them with physical or emotional pain, Meghan Cowens, licensed acupuncturist and integrative body worker, has a tool bag of methods to assist clients with healing. Cowens has been doing this work her whole life, but went into practice 14 years ago after attending the Atlantic Institute of Oriental Medicine in Ft. Lauderdale, Florida. 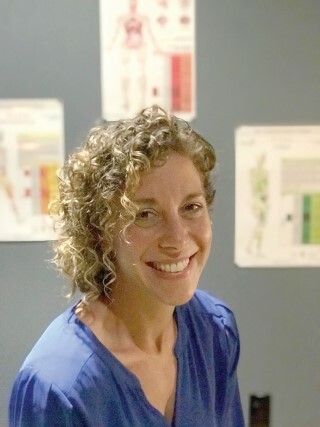 She is certified in acupuncture, manual therapy, integrative body work, Tuina, Chinese medical massage, posture correction, Guasha scraping for increased blood flow to certain areas, meditation and yoga, and has five National board certifications. She takes required continuing education units every two years. She also did a post-graduate course in sports medicine acupuncture. She is especially skilled in scar therapy and life coaching. For three months she has been seeing clients in her space at The Man Cave in the Windham Mall. She works with men, women and children, and anyone who needs her or anyone who’s in pain. Cowens can’t make a client do what she recommends, but she will provide the accountability to help them love themselves through anything. “You should feel delicious in your body. Be resilient to get back up after you’ve been knocked down,” Cowens said. “Big fear is big magic waiting for you on the other side. That’s what matters,” she said. Cowens participated in a four years master’s degree program and spent five weeks in China where she learned Tuina in a hospital there. She also knows Thai massage, which is assisted stretching. She studied with Eric Dalton for myoskeletal therapy. She is a Yin yoga instructor and does therapeutic ball work and restorative therapy as well as pre- and post-natal work. She uses some or all of her knowledge when working with a client. When she meets with clients she discusses what is happening with them and will always address what their chief complaint is. She does a free consultation to give the clients a chance to express how they’re feeling. She also evaluates how people walk and the way they breathe. Everyone is different. Some clients can’t be touched, while others want to discuss what’s going on in their lives. Although she is an acupuncturist, Cowens also does non-needle therapy. “Acupuncture as a stand alone is really great,” she said, but it is only one modality that she uses. For more information, to schedule an appointment or for a free 15-minute consultation, visit www.MeghanCowens.com, call 954-551-9237 or call The Man Cave at 207-893-2283.